We’ve heard some rumblings lately about a new training being available that takes two hours to complete and has no final exam, but after some research it’s nothing more than a bit of marketing hype. TCEQ doesn’t require any training provider to have a final exam, so most, including PASS, do not. Also, we aren’t sure that bragging about course length is necessarily a good thing. We all know that time is valuable, but to hang your hat on the fact that your content is short isn’t necessarily a good thing, and can actually be an indicator that your content comes up a bit short. At PASS we strive to come up with the right balance of delivering all of the necessary content, while still respecting the learner’s time. We’ve also created features like automatic bookmarking, 24/7 access, and a mobile friendly app that lets our customers train at the time that’s most convenient for their schedule. This is also a great opportunity to point out our reviews feature, which currently ranks our Texas A/B course at 4.5 stars. These are just the highlights, and we’d love to show you more. If you’re interested in learning more about PASS Tools or MyTankInfo please let us know! Did you know that most state regulators require that a list of all employees who are trained as designated UST operators be made available at your facility at all times? This is typically called at Designated UST Operator List. The report is automatically updated whenever you add new students and trainings, so be sure to check it and print off a new copy regularly to make sure you’re up to date! We have a number of other different reports available for our customers to help ensure they are ahead of the regulatory curve. Please contact us today and we’ll show you how we offer the best, most complete, regulatory tool kit for the UST/AST industries. This report is just one of the ways PASS helps keep you covered. Sign up today and subscribe to our newsletter to get 10% off your first order. It’s that time of year again and we’ll be at M-PACT again April 18-20, 2017, Booth #817, alongside our partners at MyTankInfo. The M-PACT show is one of our favorite regional tradeshows that brings together over 4,500 professionals from all over the midwest. PASS has been attending this show for many years and always enjoys the chance to get to see some of our great customers and partners in Illinois, Indiana, Kentucky, and Ohio. It’s also nice that it’s always in our backyard. If you’d like to get set aside some time to sit down with us to discuss how we can help your business please let us know. Did you know that all single wall tanks in California were to be permanently closed by the end of 2015? However, the State Water Resources Control Board wants to help with this financial burden. Grants and low interest loans are now available to assist owners/operators in the removal and replacement any remaining single-wall USTs. To get more info on how to apply for assistance, check out the Underground Storage Tank Cleanup Fund page. Funding is limited so do not delay! An issue has been identified at our suppliers which leads us to request that you immediately stop the sale of OPW swivel connector models 241 TPS Series and 36S with stamped manufacture dates between January 2013 and March 2017. This applies to 3/4 and 1 inch swivels. The specific models and date codes are listed on the Recall Alert as well as a list of the specific parts numbers affected. We have identified a concern with a retaining rod used in the affected swivel connectors. In certain rare cases, the retaining rod may not perform as expected, resulting in unintended separation at the swivel connections, presenting a risk of fuel spillage. Additionally, while regulations and warnings prohibit the presence of ignition sources at the pump, there is a potential fire hazard if an ignition source is nevertheless present. Because the quality and safety of our products is paramount, we are stopping sales and initiating a voluntary recall of all potentially affected swivels, effective immediately. This communication pertains only to the specific swivels and hose kits identified on the Recall Alert and does not pertain to other OPW swivel models or products. Alert Your OPW Swivel Customers. Please immediately forward the Recall Alert directly to all of your customers who may have purchased OPW swivels or hose kits. Please urge your customers to immediately remove or replace the affected swivels and register for the recall by phone or website so that OPW can directly ship replacement swivels to them. Stop Your Sales of Affected Swivels. Please immediately stop all sales, distribution, installation, and use of the affected swivels listed in the Recall Alert. Please check your current inventory and isolate and tag any affected swivels or hose kits in your possession. Contact OPW to Confirm Compliance and Arrange a Return and Credit. Please verify your compliance with steps 1 and 2 above by emailing your Customer Service Representative or calling 1-800-422-2525. At that time you may obtain an RMA and arrange for the return of your affected swivels and hose kits to OPW for a credit. This is only for unused swivels you may have on your shelf. Even if you do not have any affected swivels or hose kits in your inventory, it is important that we hear from you and confirm you have communicated the recall to your swivel customers. We plan to upgrade the 241 TPS Series and 36S models with a new and different retaining rod. The new models will be clearly identified with a “Star” pattern stamped on the swivel body as well as a “Star” on the packaging. In the meantime, we are offering the OPW Model 45 hose swivel as an alternative for you and your customers. If you have questions or would like to speak directly to an OPW representative regarding the recall, please contact our team at 1-800-422-2525. If your customers wish to receive replacement swivels, they can register for the recall using the https://OPWSwivelRecall.expertinquiry.com website or by calling 1-866-562-5931. Please visit the website for additional call in numbers outside of the US. We regret this inconvenience to you and appreciate your patience as we work through this process. Thank you for your continued support of OPW Products. Going to the PACE Show next week? Stop by and see us on Friday, February 24th, in partnership with MyTankInfo, at Booth 218. The PACEshow is a show encompassing the entire Midwest, and represents more than 5,000 petroleum and convenience retail locations. This year the organizers expect to draw more than 2,500 attendees and feature 300+ leading industry suppliers. Check out the floor plan here, and feel free to reach out to us if you’d like to set aside some time to chat during the show. PASS recently took a trip down to beautiful Savannah Georgia to attend the 2017 NATSO Show. The show took place Saturday January 21-24 at the Westin Savannah Harbor Golf Resort & Spa Convention Center. During these couple of days there was lots of hustle and bustle with tons of great things to do and to see.  The NATSO Show brings travel plaza and truck stop leaders great new products and innovations, technical solutions and good advice. During the show there were many opportunities to go to workshops, networking opportunities, and Board, Council, and Committee meetings. On the showroom floor, an ice cream social was held, a silent auction, and keynote speakers throughout each day giving presentations on many great subjects. David Fialkov, NATSO’s VP of Government Affairs, spoke on Monday during lunch, urging attendees to support the ban on rest area commercialization and tolling. He also spoke about other issues such as corrosion in UST tanks and labor laws. Mr. Fialkov also encouraged members to advocate for the industry by going to NATSO’s Day on the Hill May 15-17 in Washington D.C. Some other great topics discussed were, attracting, hiring and retaining travel plaza talent, electric vehicles, and planning for tomorrows economy. PASS had a wonderful time in Savannah and recommend this show to anyone in the truck stop or travel plaza industry to go and check out this show next year! 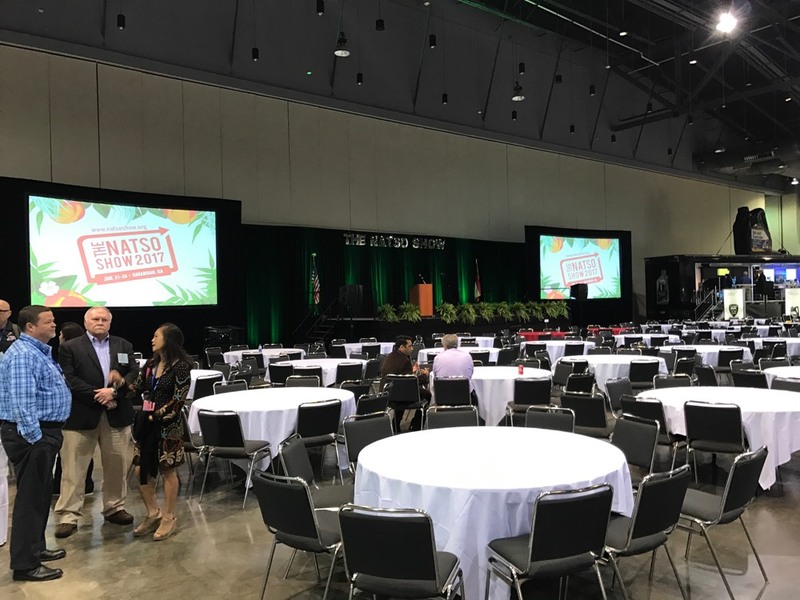 In 2018 the NATSO show will be in Nashville, Tennessee from February 9-13, 2018. Click here for more info on the 2018 show. The team has been hard at work over the past 18 months to launch a training experience that’s unlike any other available today. We are very proud of this release, and have incorporated a lot of the feedback collected from our clients over the years. The system is designed with the customer in mind, and really focuses on simplifying the entire training process. We are very excited for you see this new experience. Please let us know what you think on facebook, twitter, or shoot us an email.